What if I Can No Longer Make My Chapter 13 Bankruptcy Payments? Filing for Chapter 13 bankruptcy is one option if you are struggling financially. Under Chapter 13, your debt obligations get reorganized into a supervised monthly payment plan agreed on by your creditors. This payment plan generally lasts for a period between three to five years. Once your repayment plan is over, the remaining debt will be discharged. But what happens if, before you complete your payment plan, you become unable to make your payments? The good news is that you do not have to completely abandon your Chapter 13 plan if you can no longer make payments. Maybe you ended up in a financial emergency situation that was just temporary. With enough time, you might be able to catch up if you are given enough time. In this case, the first step is to talk with the trustee and reach an agreement that will give you a certain amount of time to get current on your payments. If that does not work, another option is to modify your Chapter 13 plan payments. You will have to file a motion with the court in which you propose a new payment amount and documentation showing your changed circumstances. 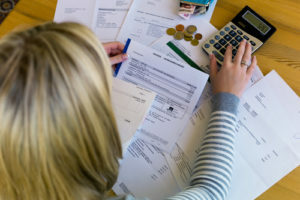 It is important to note though, that if your plan only pays debts you have to repay fully, like certain tax debt and domestic support arrearages, then you will not be able to reduce your payment amount. Another option available for you is to request a hardship discharge. You might be eligible to receive one even though you have not complete all of your required loan payments. Your financial situation will be assessed by the court and they will consider the best interest of your creditors before granting the hardship discharge. Now, in the event you cannot get current or modify your payment, two more options are to convert to Chapter 7 or dismiss your case and refile. When it comes down to it, the best way to figure out what works for you is to discuss your bankruptcy with an experienced attorney. With so many bankruptcy options and alternatives out there, it will take the right bankruptcy attorney to help you figure out what is best for you. In New Jersey, that attorney is Joel R. Spivack. Since 1995, he has been helping clients save thousands of dollars through Chapter 13 bankruptcy. And when that does not work, Mr. Spivack will find what does help you best. So reach out to him today by filling out the online contact form and take your first step toward a fresh financial start. ← What Gets Discharged in Chapter 13?